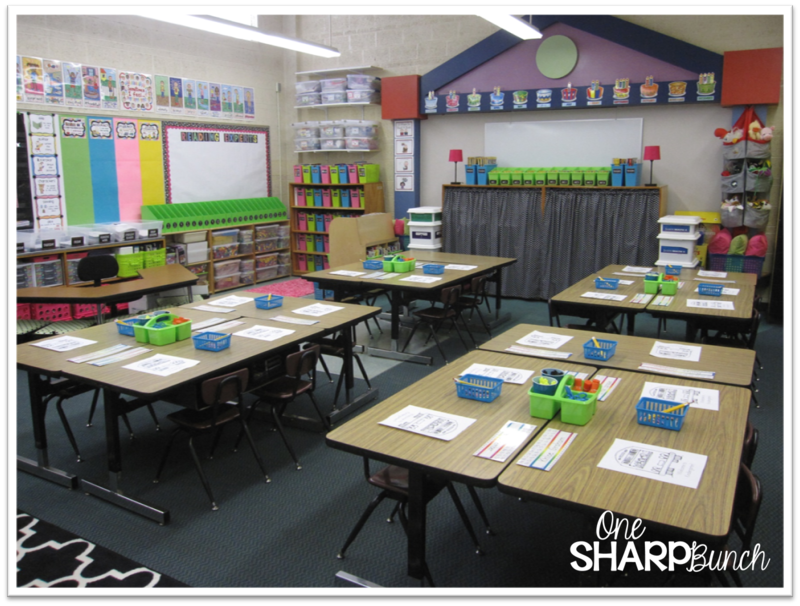 I’m FINALLY finished with my classroom and ready for the first day of school! 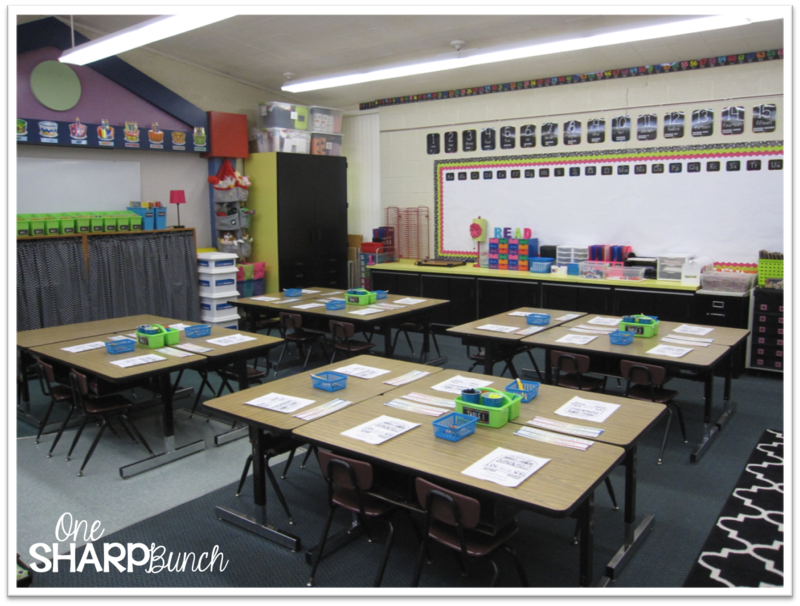 This post will be loaded with tons of classroom pictures and some first day freebies (at the end)! Don’t miss all the other freebie links scattered throughout the post! Before I begin my classroom reveal, I wanted to share a picture of the 1st day certificates I am going to give my kiddos on Tuesday. 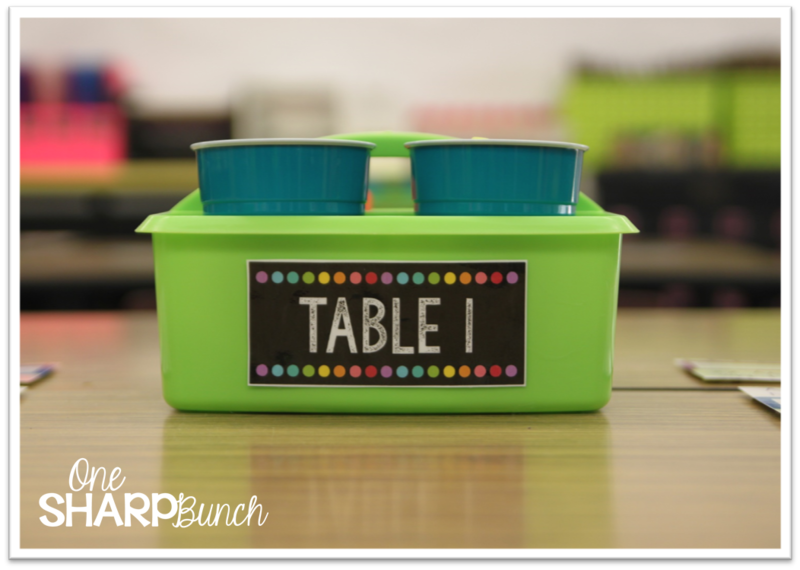 They are editable and include kindergarten – 6th grade! Click on the picture below to check them out! Okay! Now, it’s time for the good stuff! My color scheme this year is bright and bold! 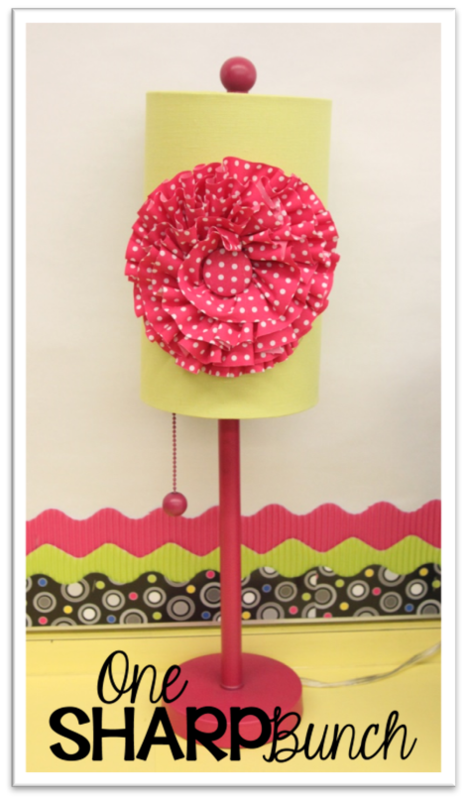 I tossed out all the primary colors and opted for bright pink, green, turquoise and black! 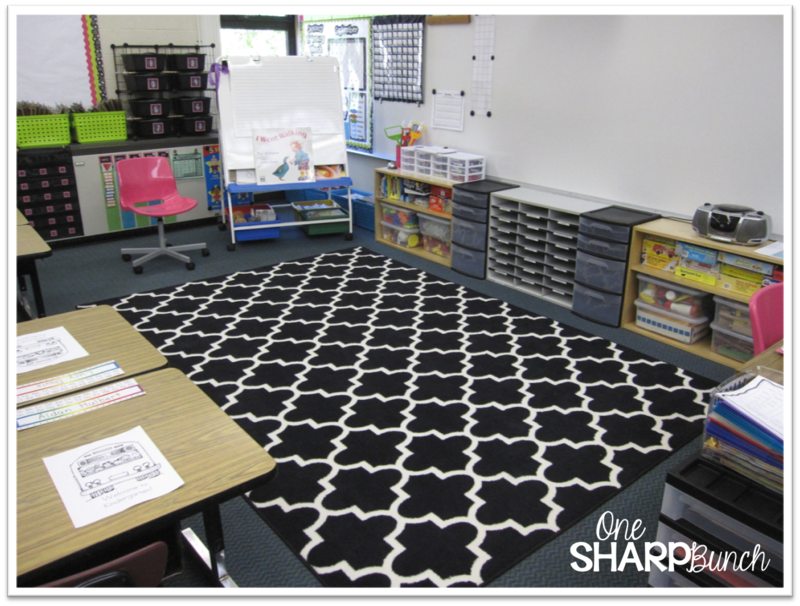 My classroom underwent an EXTREME MAKEOVER! If you all remember, my cabinet doors were blazing orange… I painted them black using Rustoleum countertop paint. I’ll let the before and after pictures speak for themselves! See that lamp on the counter… It came from Hobby Lobby and was the inspiration for my color scheme! Isn’t she beautiful?!?! Here’s a peek at my new black, quatrefoil rug from Target and pink chair from IKEA! This next shot is taken from the rug area and shows the back part of my room. I found the little, turquoise baskets at JoAnn’s and the table caddies from Romanoff Products. The turquoise baskets will only stay out for the first few days. Right now they are holding crayons and pencils, but I will also use them for math manipulatives and such. Here’s a close up of one of the table caddies. 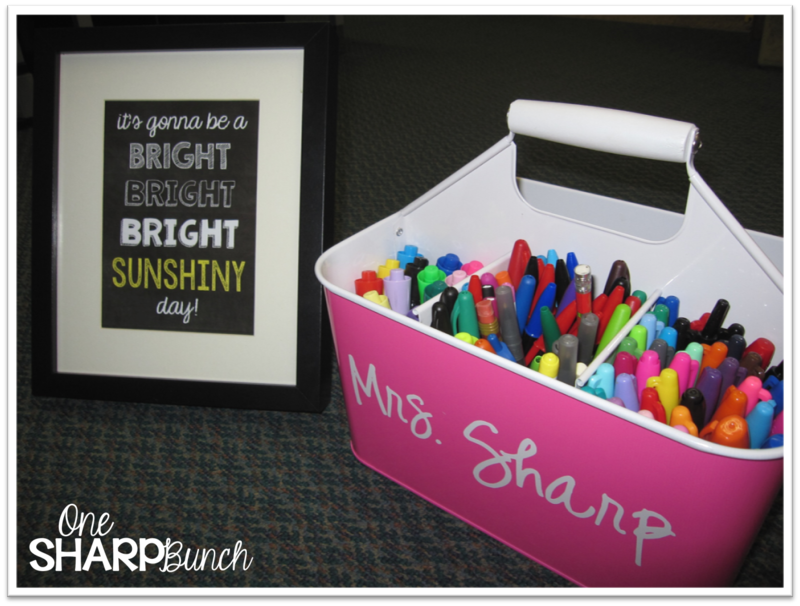 The cup on the left holds dry erase markers, the cup on the right holds highlighters, and the two cubbies in the back hold glue sticks and scissors. 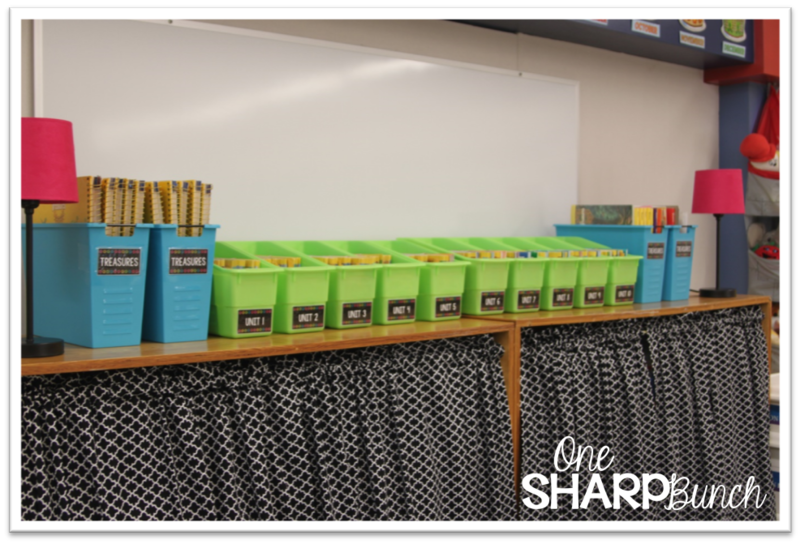 Each of the students will keep a pencil box with crayons and pencils inside their desks. Grab the FREE table labels below! This next shot shows my word wall. 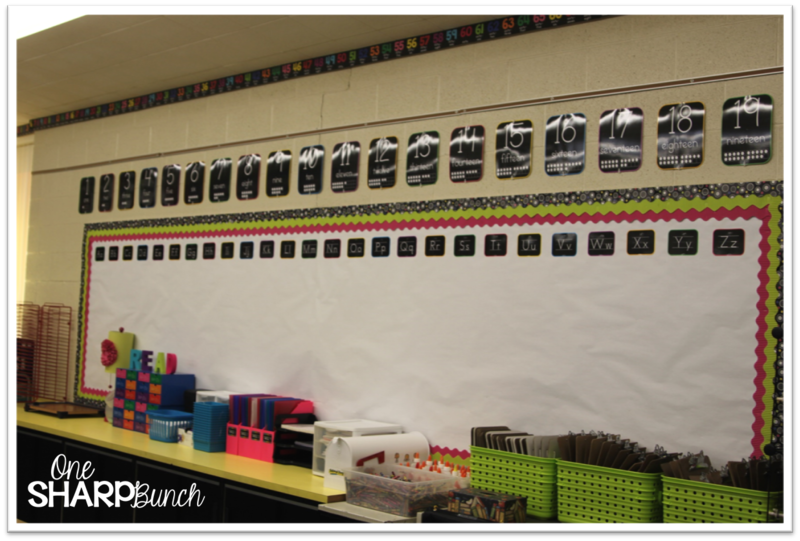 I layered the borders around each of my bulletin boards and absolutely LOVE the look, especially the triple border around my word wall! Under the right side of my word wall, you will see my lunch graph. I attached this to my heater, which is magnetic. The students simply move their magnet under the appropriate column when they arrive in the morning! If you’d like a FREE copy of the lunch graph headers, click the picture below! My calendar display overflows onto my white board, which you can’t see here. We use Every Day Counts Calendar, so I made a rainbow number line featuring ten colors. I covered each number with a sticky note and will remove one piece each day. My newly dyed black hundreds chart, clip collection, tally mark display and domino builder are attached to the white board on the right. 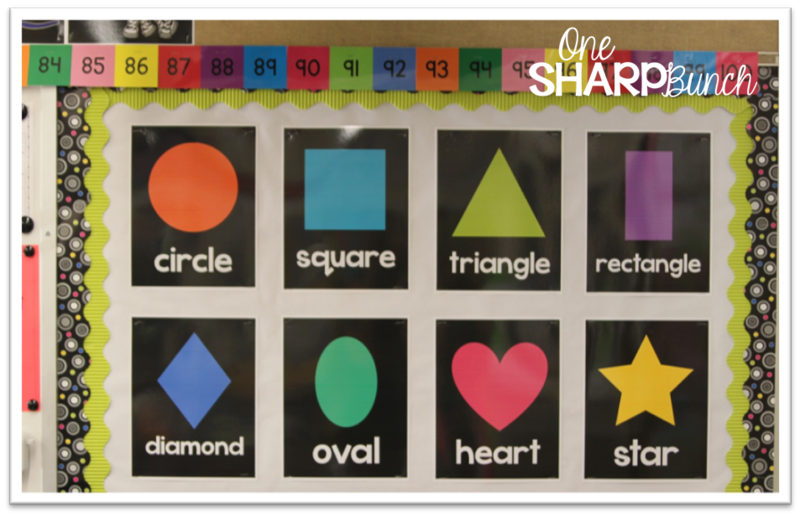 These shape posters are on the far right side of my whiteboard. I’m hoping to eventually use this board as my focus board, but I just LOVE how Maria’s shape posters pop with my layered border! I like to call this next wall my “Reading Wall,” as it contains a pocket chart holding our daily schedule and center rotations, CAFE menu, and Reading Experts board. If you’d like to grab a copy of the center rotations cards, including all numbers 1-31 in six different colors, click on the picture below! I cannot describe in words how much this next area means to me! It is where I spend a good chunk of my day providing small group instruction! 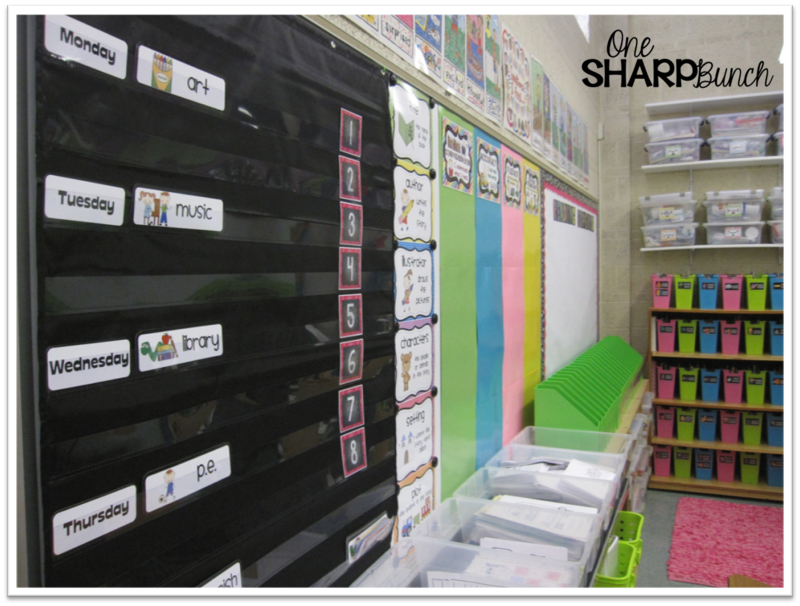 The tubs across the top hold my weekly materials, morning work, pre-copied emergent readers and next week’s copies. The lime bins hold my teacher manuals. 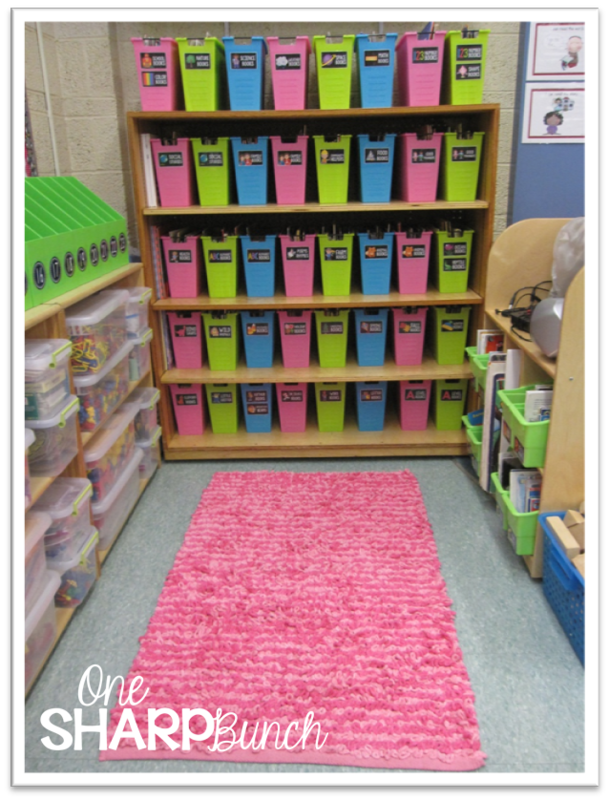 The pink bins hold my monthly read alouds. The Sterilite drawers hold my guided reading supplies and books. Our classroom library is to the right of my guided reading table. 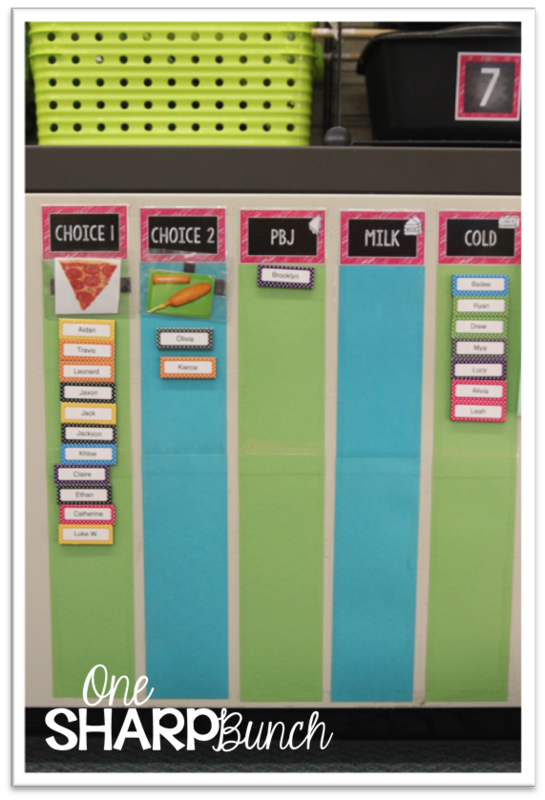 Here you will find our lime book boxes (from Romanoff Products) and books sorted by topic and level. I used Maria’s library labels to label all my book tubs. Our math manipulatives are on the shelves to the left, and our listening center is on the shelf to the right. The adorable pink rug came from the children’s area in Target. My ELA and math shelves are in the far back of the room. You can find all sorts of goodies, games and supplies behind the curtains my aunt made for me. Trust me! You do not want to look behind the curtains! There is definitely some organized chaos going on behind them! Our Treasures reading program materials are in the book bins across the top. Can you believe those little, pink lamps came from Family Dollar?!?! This last shot is a view of two items from my desk. I originally made the chalkboard quote as part of my SLANT box for Splish Splash Ms. Lander, but decided to make one for my desk too! The pink caddy came from Target and is actually a utensil holder. I personalized it with my Cameo. Grab the chalkboard quote for FREE! Just click on the picture below! Because my first day of school is on Tuesday, I wanted to jazz up the First Day poem that I have been sending home to parents since my first year teaching (which was FOREVER ago)! I wish I knew who the author was, so I could give credit to his/her creativity! If you can use it, snag it below! 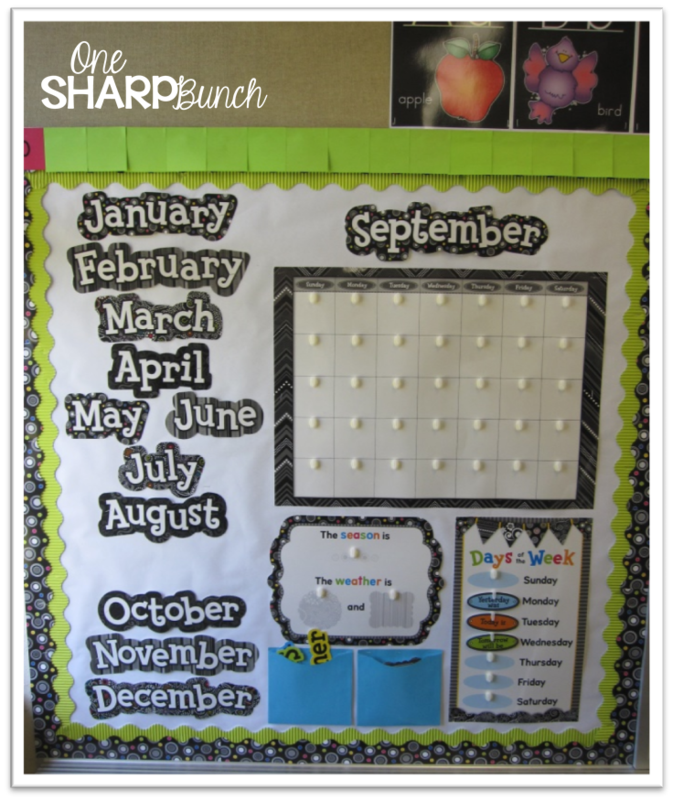 Head over to The Primary Gal, Laugh Eat Learn, AND The Primary Girl to check out some more classroom reveals! If you have made it through all of these pictures, I apologize for the overload! I hope you found some FREEBIES you could use! For those of you, like me, who haven’t started yet, good luck on your first day! For those of you who have already started, enjoy your holiday break! Love your room and we are calendar twins!!! Ashley, I said this on IG, but I'll say it again. I totally pictured your room with all these bright beautiful colors. I think it's because of your blog colors and everything you make. You are a very clean, crisp, organized, bubbly girl so that is how I pictured your room! I love it!! Absolutely stunning! Also, I totally figured out my color scheme based off of a lamp I picked up at Hobby Lobby. How funny is that? Love how something so simple can give you creativity like that! Good luck to you too, blogging buddy! We are calendar twins, too!!!! <3 and THAT BLACK RUG!!! O EM GEEEE I NEED it!! <3 looks GREAT, girl! 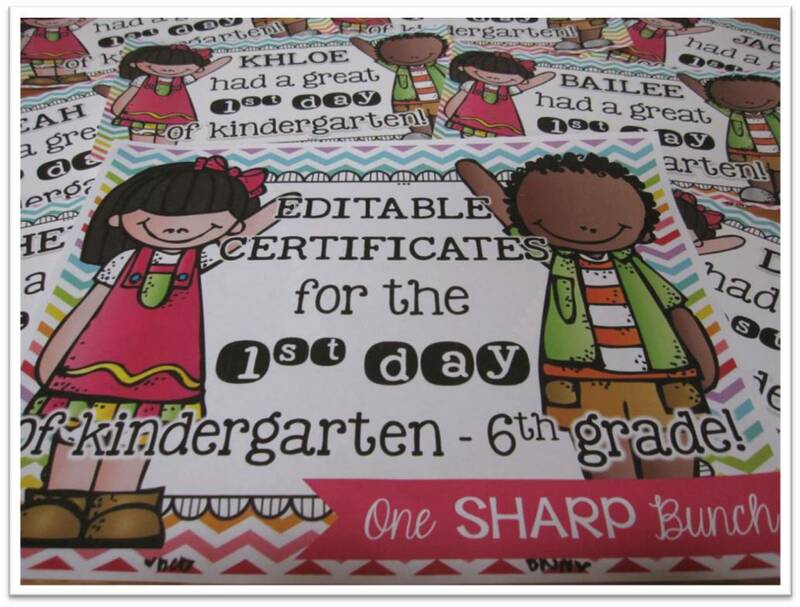 Oh, and I have 1st day certificates in my store, too!! We are so much alike! 🙂 LOVE your room! Yes, we are! Crazy! We are twinning right down to the name and all! I just checked out your first day certificates! Wish I knew these existed before I spent all the time yesterday making mine! Love your room. The colors are fantastic, and totally organized. I wish I had all those bins to organize things. I need that black rug…lol. Have a great first day Tuesday! Thanks, Laura! Most of the bins came from Big Lots, and the rug is my favorite too! Thank you, Jen! Glad you enjoy the freebies! You used absolutely every bit of space so thoughtfully! I love everything about your room!!!! Looks great, Ashley!!! You are so organized! Love your new bright and bold theme! Your room is so adorable and functional!!! I love your organization skills. I hope you have a great school year! I somehow ran across your blog. I teach at the other end of the spectrum- College Calculus, but had to tell you how impressed I am with your room and organization. Truly inspiring. I hope you are having a great year!! Beautiful classroom. I have the same color scheme. The numbers 1-31 link does not work. Is there another way for me to get them. You are so creative! 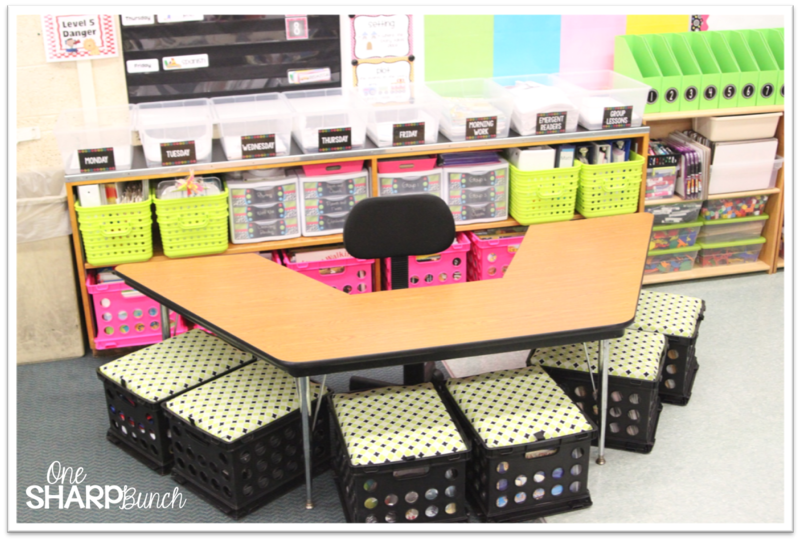 I love your classroom setup. I was trying to download the number labels for centers and the link does not work. Can you tell me if there's another way to get them?